BMW Motorrad is offering heavy year-end discounts on the G 310 R and G 310 GS motorcycles in India. The discounts are in the form of free insurance, a reduced rate of finance and cash discounts. These offers can be availed at all BMW Motorrad dealerships across India till December 31, 2018. 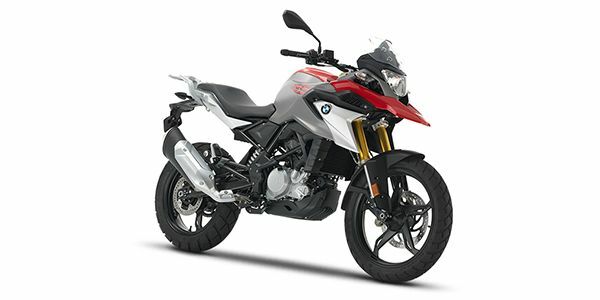 BMW G 310 GS prices start at Rs. 3.49 lakh (Ex-Showroom). BMW G 310 GS is available in 1 variants and 3 colours. Share your experiences with G 310 GS? Q. I am 5'7" will my feet touch the ground on the bike ? Q. Which is good to buy KTM DUKE 390 OR BMW G310GS. Which one best in all condition? Q. Is this bike value for money category and stands apart from competitions? Q. G310 R and G310 GS dono me se superior bike kaun sa h or patna m showroom hai ya nahi? Q. My height is 5.9 feet, will this bike be comfortable for me? Q. What is the mileage of this machine and how is the city ride of this bike? With seemingly no direct rivals for the mini adv, is the BMW G 310 GS the right choice? More importantly, is it worthy enough to wear the GS badge of honour? Motorcycle Mayhem Of The Week: BMW G 310 R And GS, Suzuki Burgman Street Launched And More! Here’s a quick rundown of all the hot happenings this past week, ranging from the launch of the BMW bikes and Suzuki’s first maxi-style scooter to Kawasaki introducing a more affordable Ninja 300 and more! Confused about BMW G 310 GS?